When you look into his eyes, St. Patrick says: "I love you and I will protect you from all the scary things out there in the world! Also, may I have some treats?" 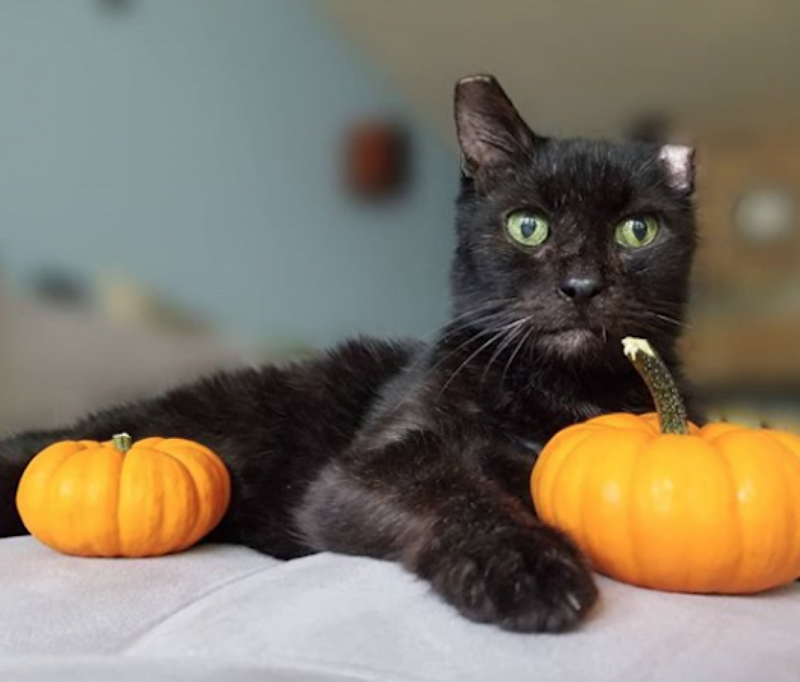 St. Patrick is a highly affectionate and clumsy little goofball who's chock full of quirks. He'll trip over and fall off things just from the excitement of seeing you. He loves to show off to make you proud and even taught himself crawl, which is beyond adorable. He also sits side-saddle and only likes to roll over in one direction and will sit on your feet for kisses. He loves playing fetch and working on puzzle toys - any sort of work-learning seems to please him the most. He has lots of energy to burn and likes to put it to work learning and playing. Very attentive and eager to please, St. Patrick picks up new tricks in a hurry. Sometimes he's so focused on performing that he will "sit," "down" and "shake" in quick succession just to get your attention. While learning "place," he was so excited that he sat on the edge of the platform before he was all the way on, tried to recover, then rolled right on off. St. Patrick is learning all these new tricks in APA! 's Total Obedience Program (TOP), which is modeled after the AKC's Canine Good Citizen (CGC) test. As a TOP dog, St. Patrick has a personalized training plan and works with a volunteer trainer several times a week to help him learn the skills to become the best dog he can be! He is learning skills like walking nicely on leash, sitting calmly when approached by strangers or other dogs, staying in a sit or down until told "free," coming when called and "Place", which means he will go to a specific place in your home on command. St. Patrick's loving eyes, big smile and stellar personality are sure to win you over. He genuinely seems to thrive on the laughter and praise he gets from his people. If he had a yard to romp in and show off his skills and goofy antics, he'd be the happiest guy in the world. 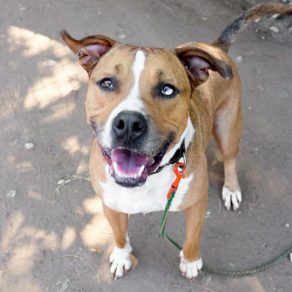 Come meet this amazing pup! 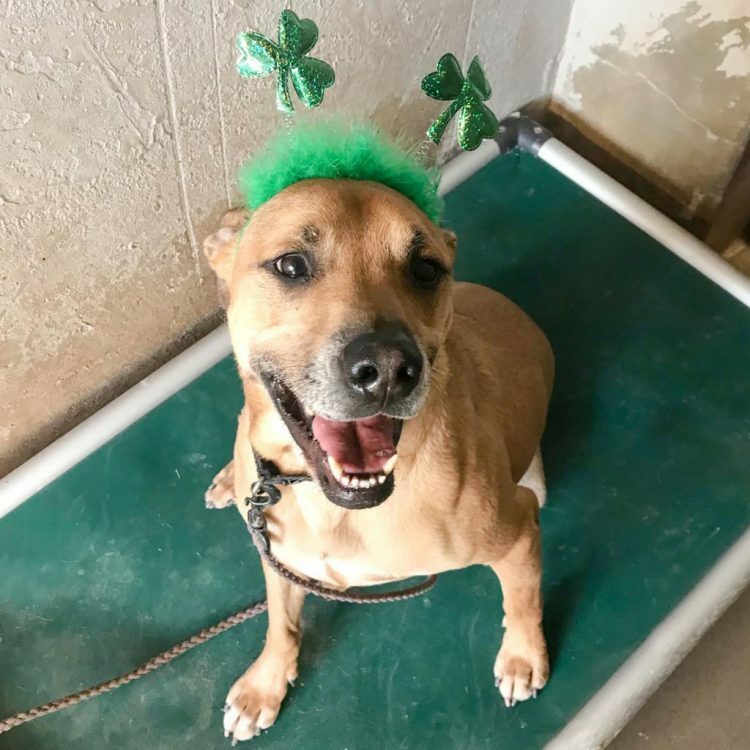 I saw St. Patrick (https://www.austinpetsalive.org/adopt/dogs/apa-a-25946) on the Austin Pets Alive! website and would like to request more information.